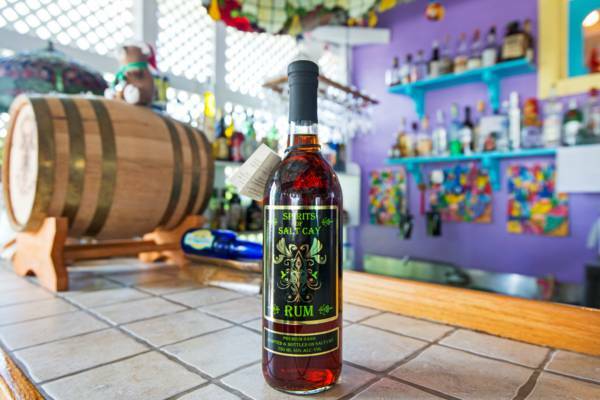 A bottle of locally produced Spirits of Salt Cay Rum. Salt Cay isn't a major tourist destination and consequently sees only a small number of tourists. As a result, shopping is quite limited. 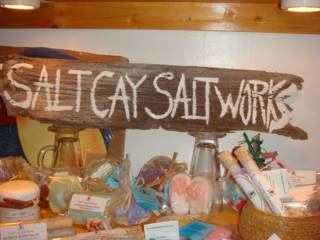 There are only three “gift” shops: Splash Boutique, Beachcombers, and the Salt Cay Salt Works display at Porter's Island Thyme. 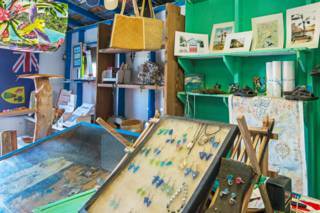 These stores carry a range of locally handmade items, jewellery, T-shirts and other gifts. 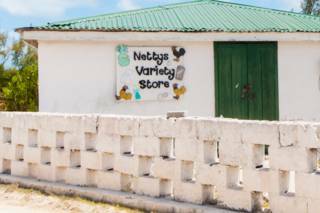 Three tiny variety shops make up the grocery options. Although the prices tend to be quite reasonable, the selection is very small. Only basic foods, cold drinks, water and snacks are offered. 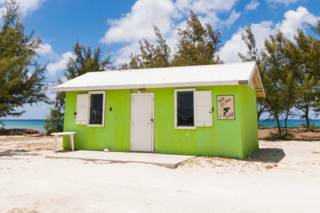 Many of the local residents either travel to Grand Turk once a week to get supplies, or have the required items sent over on the Salt Cay Community Ferry. 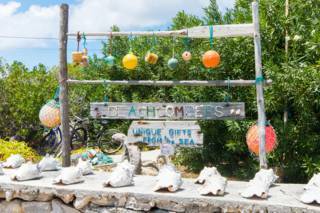 If you're staying for a while, consider bringing any specialized items with you from Providenciales (or Grand Turk) before you arrive on Salt Cay.